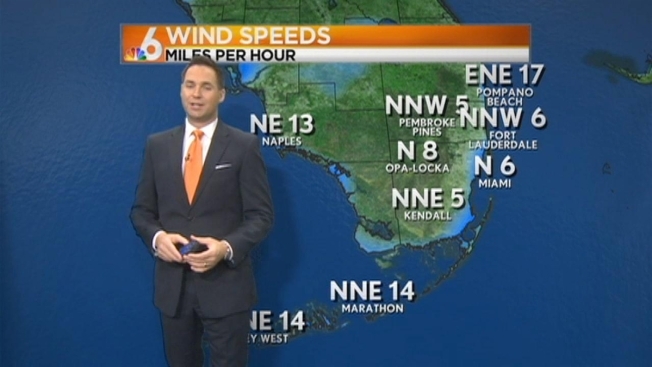 In the wake of Tuesday’s potent cold front, a cloudy and breezy pattern will settle in Wednesday in South Florida. With cloudy skies hanging around much of the day, it will take the ocean breeze to help push temperatures through the 60s on up to a high of 70. Shower chances linger all day Wednesday and Thursday before the pattern settles late-week. Warmer, drier weather is forecast to settle back in for the weekend. By Friday, conditions will be partly sunny with highs around 83.